Fishing in Venice Louisiana is like eating spaghetti in Rome or seeing the Eiffel Tower in Paris: it’s just got be done. This tiny town right at the end of the Great River Road in Southern Louisiana might be the last settlement down the Mississippi that you can access by car. But when it comes to exploring one of the US’s most productive fisheries, Venice fishing charters are our first port of call. It’s not everywhere you get the chance to hook a Largemouth Bass, huge Bull Redfish, record-breaking Yellowfin Tuna and Billfish from the same port. 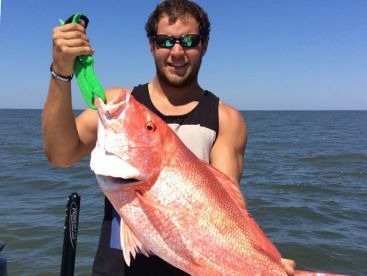 With the rich waters of the Mississippi on the one hand and immense floating oil rigs and offshore canyons on the other, charters heading out of Venice Marina and surrounding areas can catch almost anything they set their minds to. For most offshore anglers, Venice LA means only one thing: Tuna. And lots of it. It’s hard to find someone who doesn’t agree that this is the best place to catch 200 lb Yellowfin Tuna in the USA. With a year-round population of this popular sportfish within reach of shore on a full day trip, you can see why. The reason Venice Tuna fishing is so good is the grid of offshore oil rigs that span the horizon out at sea. They may not look like much of an asset to the natural world, but these deep water behemoths have created a thriving ecosystem. 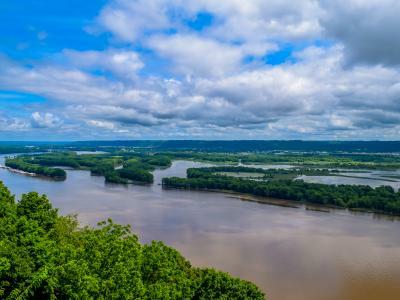 Dotted along the Mississippi Canyon, these FADs (Fish Aggregating Devices) provide the perfect breeding ground for baitfish. And with baitfish, come predators. Lots of them. As well as Yellowfin, you’ll find Blackfin Tuna in these waters, with Blue and White Marlin, Sailfish, Wahoo, and Mahi Mahi all joining in the fun at different times of year. 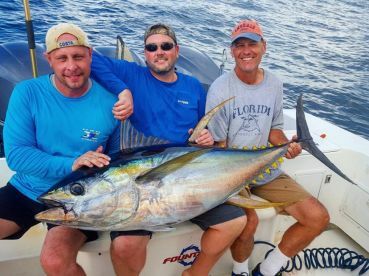 In fact, it’s not uncommon for Venice Tuna charters to hook up on an unexpected Marlin as they target Yellowfin around the floaters or the famous “Midnight Lump” in the summer. As far as sportfishing experiences go, it’s hard to find anything better than that - and it's all there between about 30 and 100 miles off the coast of mainland United States. 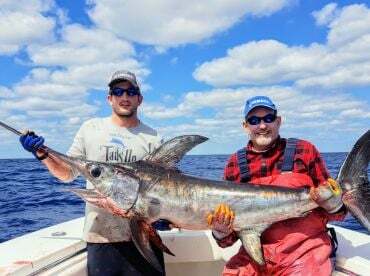 But you don’t need to travel that far out for a rewarding fishing experience, especially if you’re willing to pass up a big pelagic fish for a delicious dinner table treat. 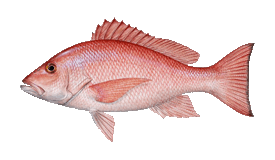 Look for Warsaw, Gag, and Scamp Grouper, as well as big Red Snapper (in season) around inshore rigs. Here, you can also catch hefty Amberjack, King Mackerel, and the odd Cobia, too. 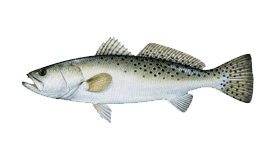 Staying even closer to home, the local Rosseau cane, grasses, and marshland has created the perfect environment for many of the country’s favorite inshore game fish. Redfish inhabit these waters all year round, feeding on the rich supply of crabs, shrimp, and other baitfish in the local channels and ponds. Unsurprisingly, it’s not only Red Drum that can’t get enough of these tasty treats. 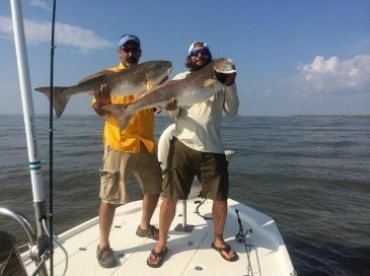 Louisiana inshore fishing charters operating out of Venice will also hook up on Spotted Seatrout, Flounder, Tripletail, Black Drum, and a lot more. 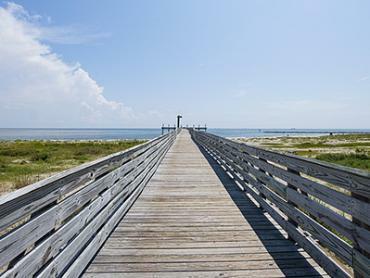 Venice may be “the end of the world.” But when somewhere is equally famous as Tuna Town USA and the Redfish Capital of the World, you know it’s got to feature prominently on your list of things to do before you die. They don’t call it a Sportsman’s Paradise for nothing. 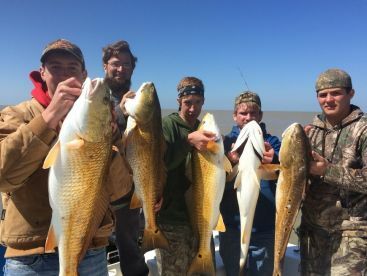 All anglers over the age of 16 need a fishing license to fish in Louisiana, and Venice is no exception. 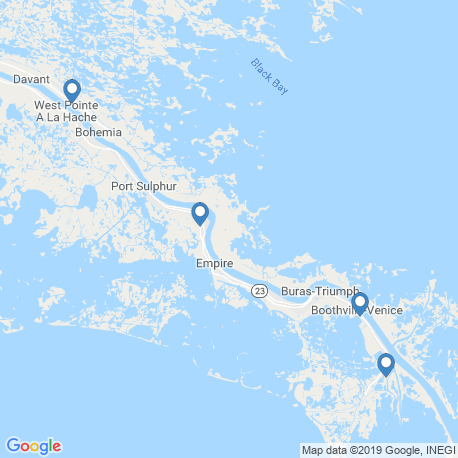 When fishing south of the ‘saltwater line,’ you need a saltwater license as well as the basic Louisiana fishing license (unless you are exempt). 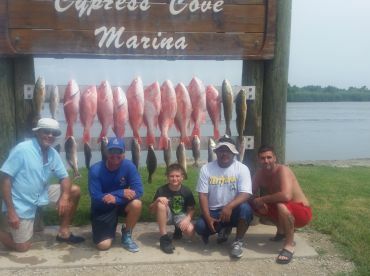 Offshore Landing Permits are required by everyone who is fishing for Snappers, Groupers, Tunas, Billfish, Wahoo, Mahi, and most other offshore fish, unless you are fishing aboard a Louisiana fishing charter that covers this for all anglers on board. The first thing most people want to do in Venice La is Tuna fishing. And we don’t blame them. 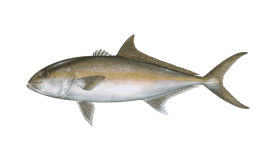 Target Yellowfin with live or dead bait, being careful to match your lure with whatever is in season - be it Menhaden, Herring, Blue Runner, or Mullet. While this is usually the best way to catch a big one, casting artificial lures (especially top water poppers and speed jigs) can be thrilling. Try this method for smaller Yellowfin and Blackfin Tuna around the shrimp boats closer to shore. 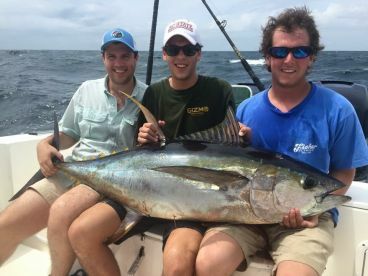 Tuna fishing Lousiana style is fast paced and hands-on. Harness up and fight them standing if you’re up for the challenge! If you’re fishing in the summer, it’s important to be prepared for Billfish: the last thing you want is to see a Marlin and not to have the right gear to tackle it. Pick a charter with tuna tubes so you can keep a stash of Bonito just in case. A lot of Venice fishing charters will stop by to catch them near the shallow water rigs before they start deep sea fishing. 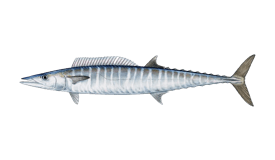 Fish in the winter, and you could be catching 50 lb plus Wahoo alongside monster Yellowfin. Look for the speedsters of the Gulf of Mexico between 15 and 30 miles from the port, especially around dropoffs, seamounts, and weed lines. If the open sea doesn’t appeal to you, stay inshore and target Bull Redfish. The most popular way of catching them in these parts is with a shrimp under a popping cork. 10-17lb rods with spinning reels are the most common combination. Other techniques include sight fishing with live bait, top water plugs, spoons, and soft plastics. Winter is no excuse not to get out on the water in Venice, Louisiana. This can be the best month of the year to catch a huge Yellowfin Tuna or Wahoo, with multiple hookups common place in January. Wahoo, Blackfin and trophy Yellowfin Tuna are biting. 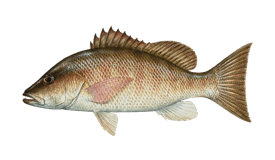 Conditions may be windy, but clear waters bring fish closer to shore. 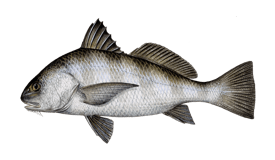 Inshore, explore the marshes for Redfish, or look for Sheepshead around the rigs just off the coast. Seek out Tripletail in the shallow waters. Speckled Trout start to spawn - set your sights on a trophy. Rains can dump muddy water from the Mississippi into the Gulf, pushing pelagics further offshore. Try one of the hottest trends in Louisiana fishing and target Swordfish - this is one of the best times of year to do so. These delicious deep water-dwelling billfish can be targeted with electric reels to save a laborious fight. Summer fishing begins in May in Venice, LA. This is prime time for offshore fishing, with deep sea favorites such as Mahi Mahi, Sailfish, and Marlin coming into play on the warm loop current from the Southern Gulf. Don't miss the Cajun Canyons Billfish Classic if you want to qualify for the Offshore World Championship and the InTheBite Captain of the Year Cup. Even if you're not after a prize, charter a boat and go after a Marlin. Everything is in season. Gag Grouper opens again, Wahoo is back in force, and Marlin (Blue and White), Mahi, and Sailfish are all caught on the current lines offshore. The Faux Pas Lodge Rodeo competition can't be missed. Some of the offshore species have moved on, but now is coming into peak time to fish for White Marlin, which will start schooling up towards the end of the month. Look for huge Redfish inshore. This is a great time of year to go after Cobia, which can be caught around the rigs in shallow water. Weighing in anything from 15 to 60 pounds, this is one of the most exciting fish to catch nearshore. 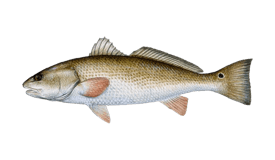 Inshore and nearshore fishing is really exciting at this time of year - this can be the best time to fish Venice Louisiana's shallow waters for Flounder, Speckled Trout, and huge schooling Redfish. This is one of the best times to catch Wahoo in Venice. Yellowfin Tuna gets even more plentiful than ever. Meanwhile, inshore fishing remains good, with Redfish, Trout, Sheepshead, and Black Drum all biting well. Venice LA isn't cold compared to some other parts of the country. Get out on the water: Redfish is as good as ever inshore, joined by Sheepshead, Drum, and Trout. Get some real bragging rights with Yellowfin Tuna. 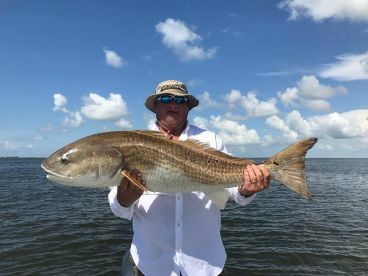 "Red Fish Trip With Captain Scott Pelas"
Book with Captain Scott Pelas. Bring a jacket for the boat ride. "12 Hour Tuna Trip with Capt Andy Cook and Mate Jason"
Bring layers of clothes, drinks and food. "FISHING TRIP OF A LIFETIME with Tails Up Fishing Charters!!" 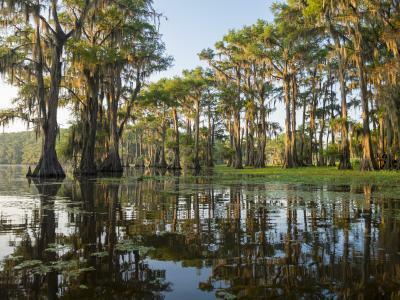 What would you recommend to anglers fishing in Venice, Louisiana for the first time? What would you recommend to anglers fishing in Venice, Louisiana for the first time?